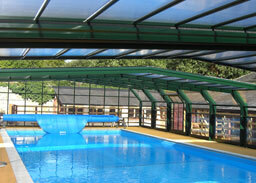 Enclosures for domestic or commercial pools, low level or high, fixed or telescopic, strong but light and easy to use. 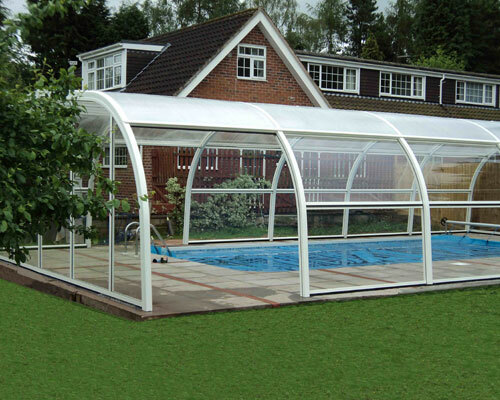 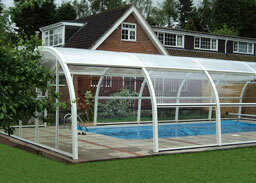 Extend the swimming season with a pool enclosure; this is the perfect answer to the changeable British climate. 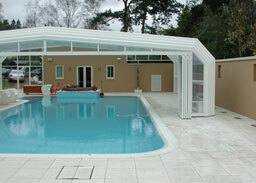 Convert an outdoor pool to indoor in a few days with either a fixed, retractable, or part opening enclosure. 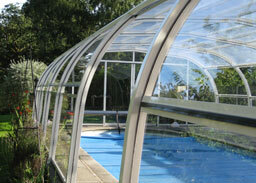 Both high and low level enclosures are available in a range of colours and sizes. 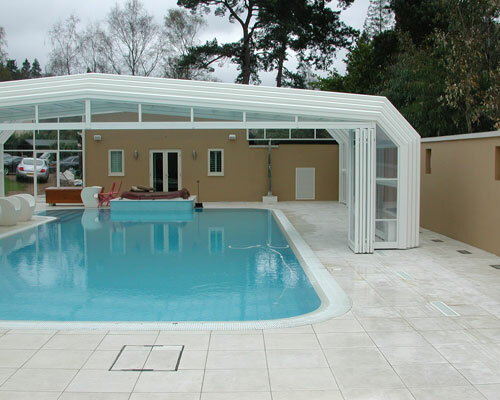 Planning consent is not usually required unless your house is listed, or in a conservation area or an area of outstanding beauty. 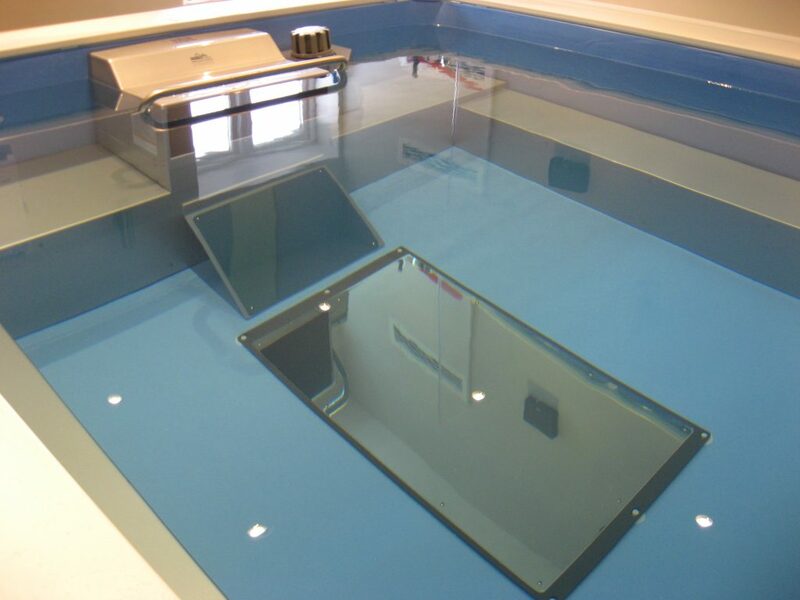 Please check with your local planning department. 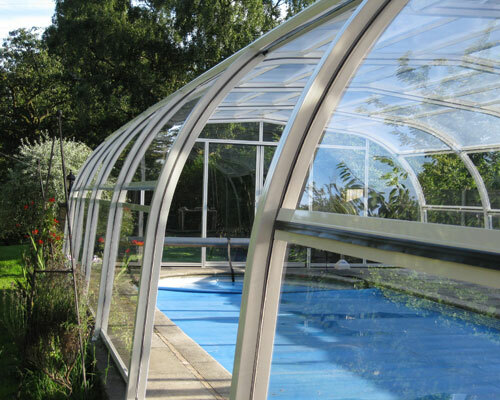 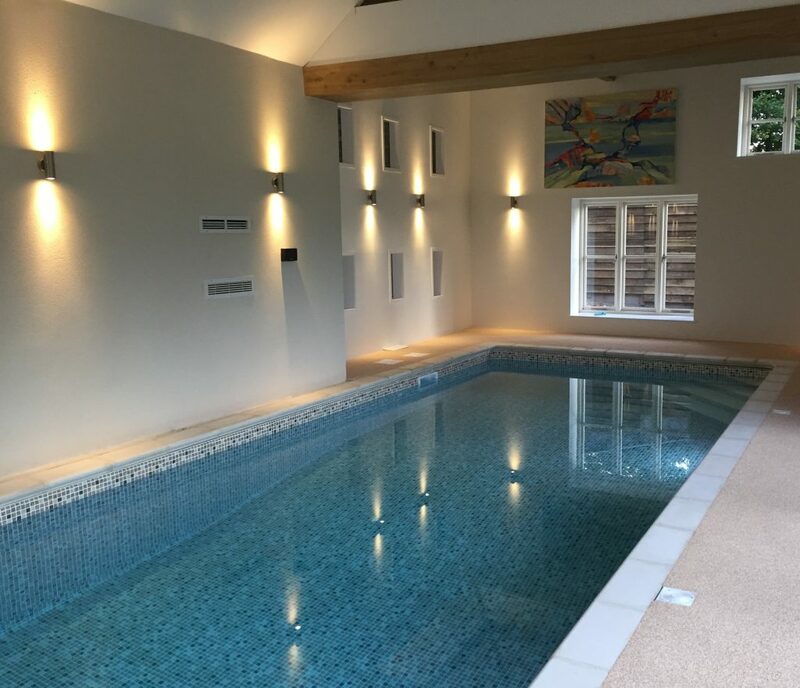 An enclosure can be fitted to most existing pools and acts like a greenhouse, raising the water temperature between 8 and 10ºC and keeping the pool clean and easy to maintain. 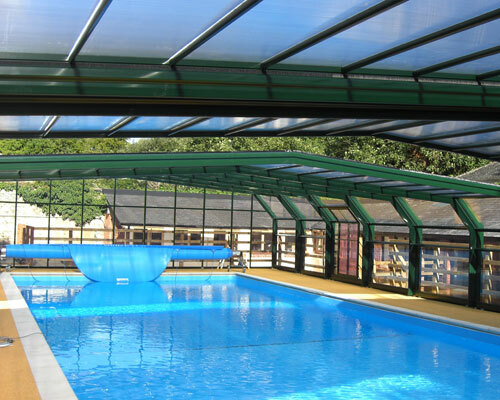 An enclosure gives an attractive and useful pool area at low cost compared with a building and is lockable and child safe.